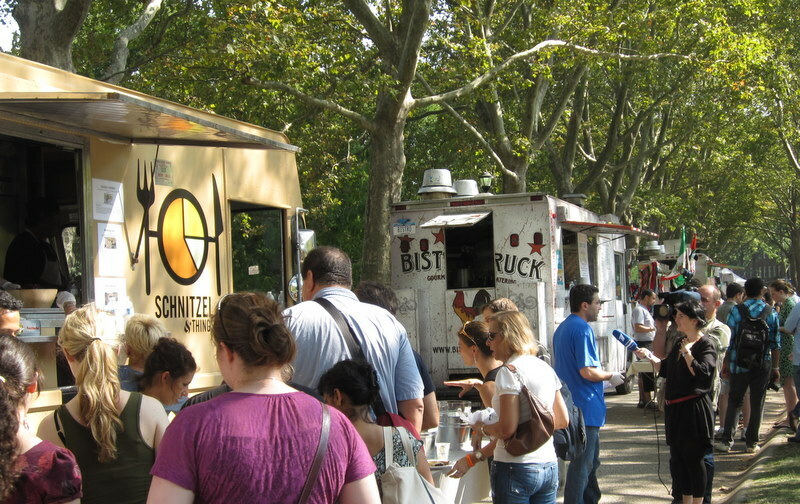 Adam and I trekked out to Governors Island today for the Vendys (the competition for NYC’s Best Street Food Vendor). I’ve never been out to Governors Island, and it really is beautiful. 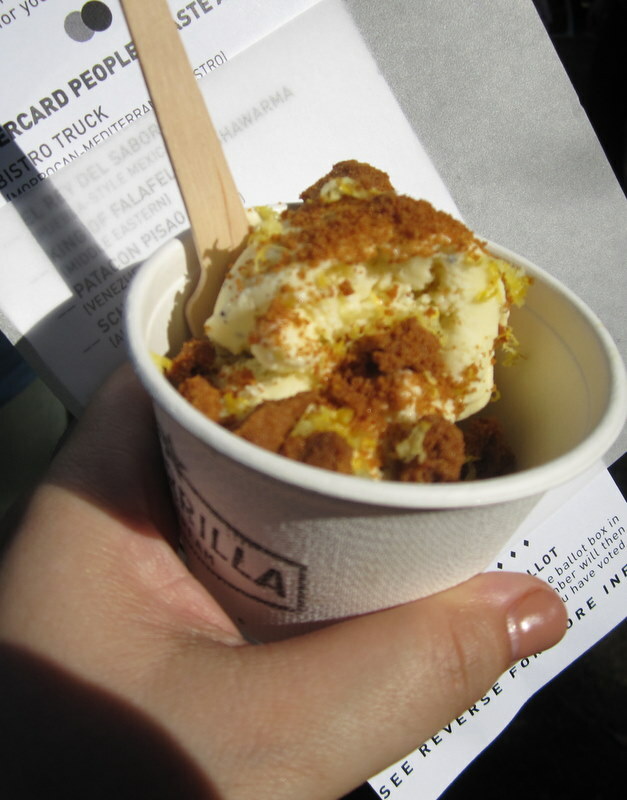 The weather was gorgeous, if a little on the hot side, and we just had such a nice afternoon eating our way from food truck to food truck as far as the eye could see. It was delicious and very New York. And the Schnitzel Truck was one of my favorites. 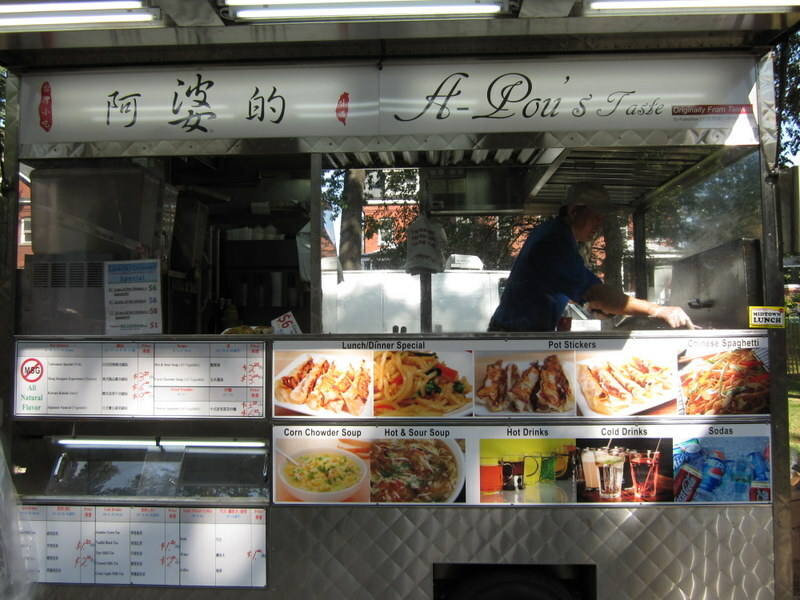 One of my absolute favorite food trucks there today was A-Pou’s Taste pot sticker truck (no website, but their Twitter is @apouspotsticker). 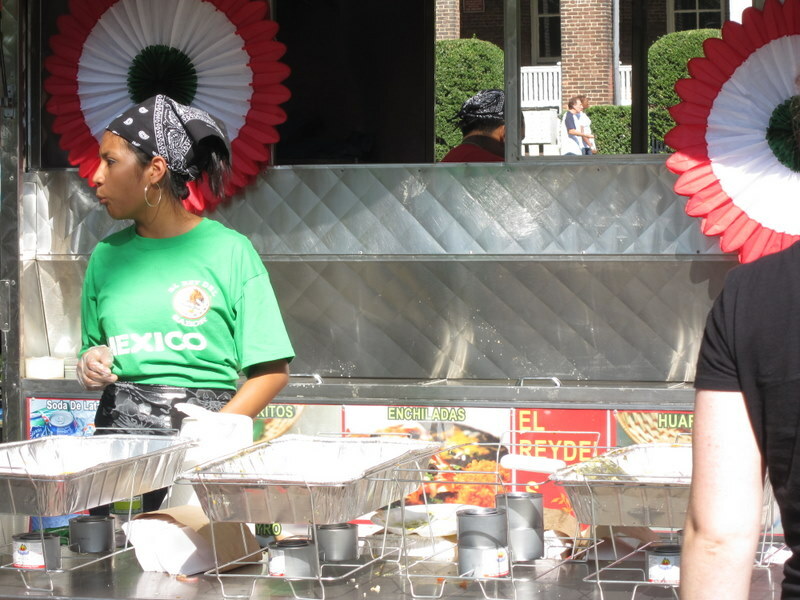 They were competing in the Rookie category, and I went back twice their food was so delicious. I might have to start stalking them now. El Rey con Sabor had some seriously amazing Mexican food. Really simple things like quesadillas and enchiladas, but I couldn’t believe how delicious everything was. 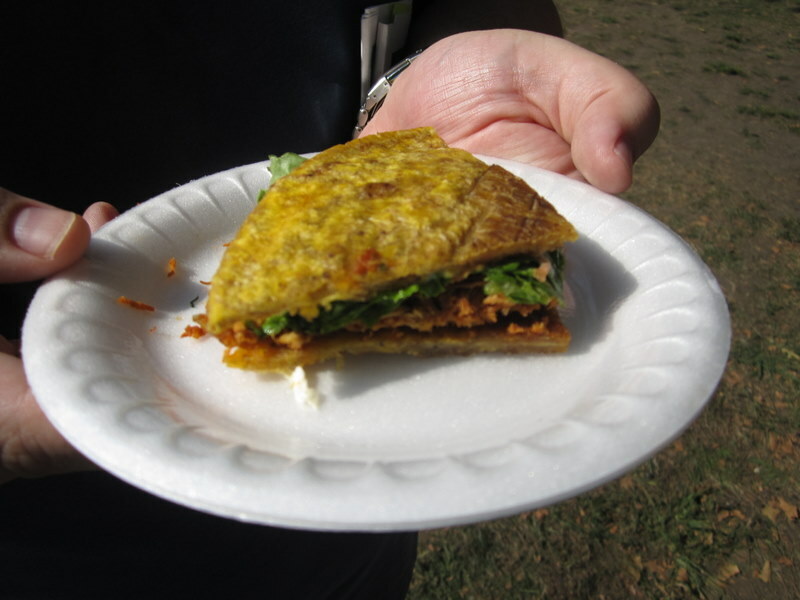 Patacon Pisao had these Venezuelan sandwiches, “patacons”, with use plaintains instead of bread. It takes a little getting used to (especially since plantains are not my favorite), but the meat and sauce were really fantastic. 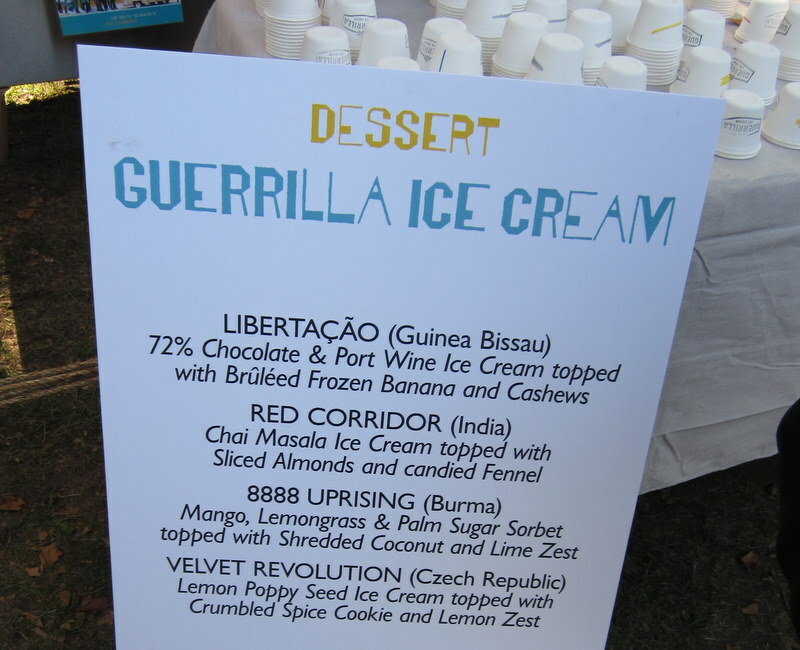 Guerilla Ice Cream has crazy flavor combinations inspired by political movements. I had the Velvet Revolution, really yummy. 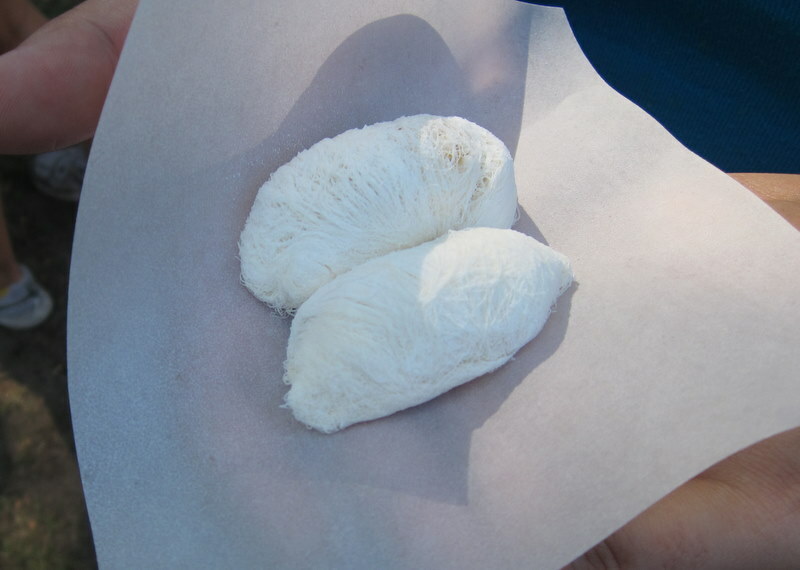 Yao’s Dragon Beard Candy was the craziest thing I ate today. That spun sugar web is wrapped around crushed peanuts and shredded coconut. It takes some getting used to, but it’s actually really good!